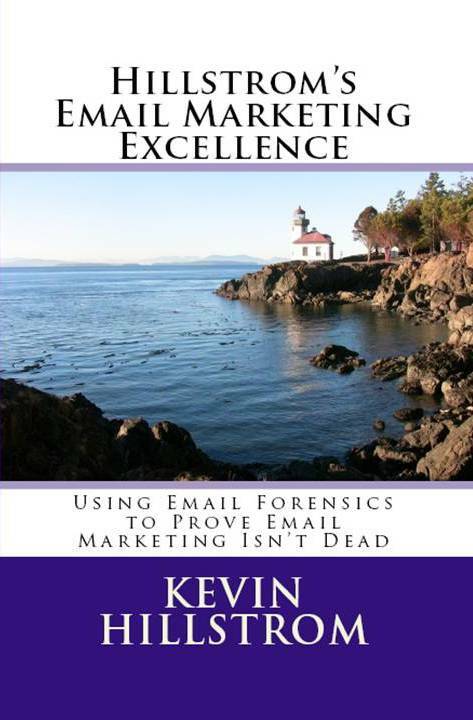 In the past six months, my best selling booklet is this one ... Hillstrom's Email Marketing Excellence (click here for your copy from Amazon). The book is selling extremely well. How many Email Forensics projects do you think I've conducted in the past three months? Catalog PhD and Merchandise Forensics projects are running neck-and-neck in 2013, with Merchandise Forensics projects surging, of late. Email marketers are just different, aren't they? Not good or bad, just different. It's been my experience that email marketers love their own set of metrics ... opens / clicks / conversions. By and large, email marketers ignore many aspects of the overall business, focusing instead on real-time measurement of email campaigns. Email marketers, like most disciplines, have their own language, and their own community. And they deliver a disproportionate amount of profit to the bottom line ... without even knowing just how effective they are! I can't tell you how many meetings I've been in ... executives from many departments dotting the room ... the email marketers huddled in a tiny corner. When it's time for the email team to communicate results, the buzzwords fly ... opens/clicks/conversions/heat maps/opt-outs ... speaking a different language than everybody else in the room. The email marketer has done more to deliver company profit than just about everybody else in the room ... but nobody knows this, because few people ever put the results into a format that the CFO can embrace and evangelize. If the CFO knew that 20% of her annual bonus happened solely because of the email marketing team, what kind of investments might the CFO be willing to make, on behalf of the email marketing team? Since the booklet is the best selling booklet of the past six months, I know the concepts resonate with email marketers. But the lack of project work tells me that there are cultural barriers between email marketers and other folks ... I get to see these cultural barriers in the meetings I attend. With the significant amount of profit that email marketers deliver to the bottom line, email marketers should be held in higher esteem. What do we have to do to help this "different breed of marketer" be held in higher esteem? Discuss.